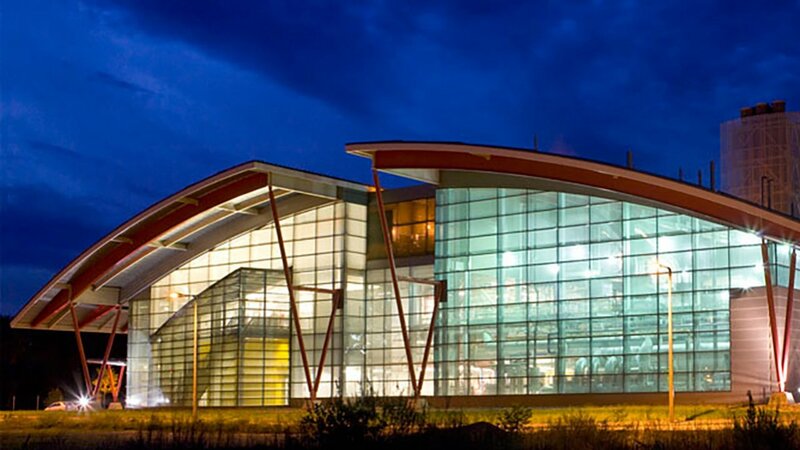 Completed in 2009, the Central Heating Plant (CHP) replaced the campus’s 80-year-old coal-burning power plant and has helped to reduce the campus’s greenhouse gases by approximately 27% (FY2013). The CHP has a 10-megawatt combustion turbine, a heat recovery steam generator, a 4-megawatt steam turbine, and three natural gas boilers. The plant provides electricity for 70% of the campus and provides 100% of the steam that is needed for heating and cooling for buildings across campus. The plant has received several awards, including: the Combined Cycle Journal Pacesetter Award for the best combined heat and power plant project in the U.S. in 2008, the Sustainable Campus Leadership Award from the International District Energy Association in 2009, and the Combined Heat and Power Energy Star Award from the Environmental Protection Agency (EPA) in 2011. The CHP added a solar hot water system in 2016, which reduces fossil fuel usage by preheating condensate water used in the steam making process.